Champion Reverse Gear for Harley-Davidson. 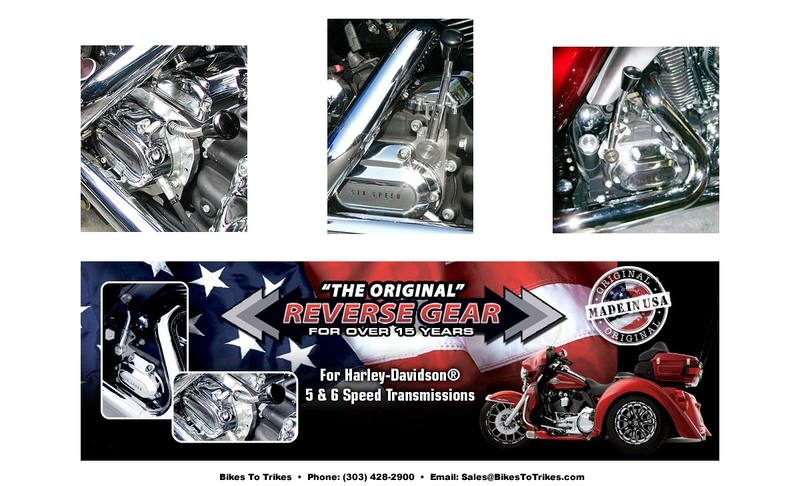 Champion mechanical reverse gear for Harley-Davidson powered motorcycles, trikes, and sidecars. A true mechanical reverse gear that means you can stop worrying about how and where to park your bike or trike. Easy to operate, in neutral, clutch-in, shift handle back, roll on the throttle and release the clutch to back up, it's that easy! Available for 2000 and later Harley Davidson Softail and touring models with OEM 5 and 6 speed transmissions. Great for motorcycles, trikes or sidecars. Low gear ratio to ease you back. No exhaust modification needed (Except for Softail models with 5 speed transmissions). Constructed from quality materials, precision-engineered design. motor operated, no battery drain.